Pop-punk legend. King of Twitter. 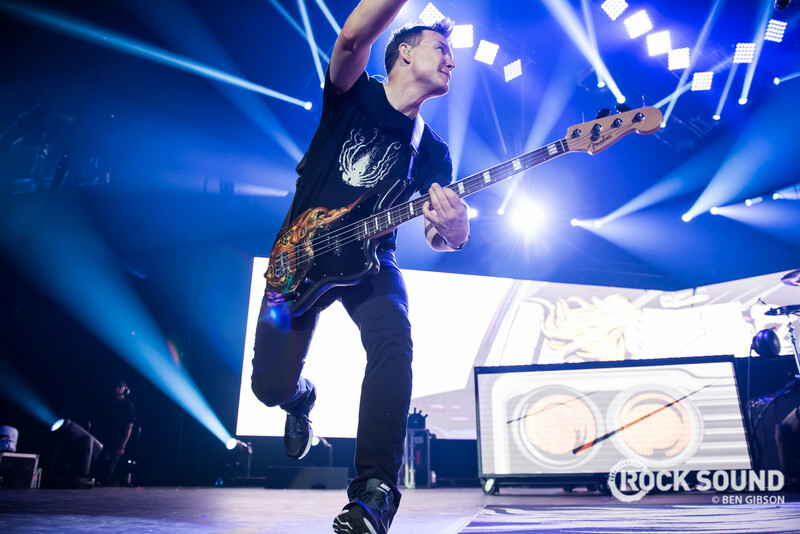 Is there anything Mark Hoppus can't do? Well add to the list deliver a killer guest vocal on someone else's song. Here are his absolute best. One of the more emotional moments on 'Future Hearts' was completely pushed over the edge as Mark pops up to bring the second verse completely crashing down. We're not crying. YOU'RE CRYING. Before they became the band they are today, Tonight Alive were producing some of the finest sugar coated pop-punk that Australia had to offer. The inclusion of some pop-punk royalty helped take this bouyant number to the next level. Mark's dulcet tones are best suited to songs that need an extra layer of sadness to them, and this heartbreaker is a prime example. How to make beautiful storytelling even more beautiful. No Pads, No Helmets... Just Hoppus. Back when Blink-182 and Simple Plan were ruling the scene both in their own right, Mark threw some bars over at Pierre & friends to devestating effect. Friendship rules! Real talk right now, Owl City never got the appreciation that he deserved. A brilliant songwriter who could pen a song catchy enough that Mr Hoppus wanted to be involved with it. A serious hit if we ever heard one. If you're going to produce a record, you've got to lend some vocals to it. That's the rule isn't it? Well on 'Commit This To Memory', real recognised real as two heavyweights of the pop-punk genre came together in perfect harmony. What a brilliantly weird time it was when McBusted were everywhere. They even wrote an album which was jam packed with some fun pop-punk hits. This tale of wishing your ex gets a paper cut and loses their keys suits Mark's quickfire singing style down to a tee. Now, this one is a bit wild. This track appeared on an album that accompanied Mel Gibson's biblical epic 'The Passion Of The Christ' and finds Mark and MxPx going toe to toe over the story of Jesus' crucifiction. The more you know eh? Never one to stick to just one sound, Mark has recently crooned on this bittersweet country-styled beauty courtesy of Amy Shark. The chemistry between the two is enough to make your heart skip a beat don't you think?